Smartphones and fitness trackers can play a big role in helping us live healthier and happier lives. Apps can teach us new skills and guide our practice. They can track our activity, to help us become more self-aware and accountable. And they can analyze our metrics to help us find ways to improve over time. 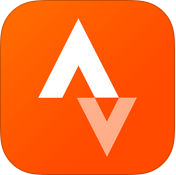 Strava (iOS | Android) – Avid cyclists know that Strava is one of the most popular apps available for tracking bike rides, and allows you to compete with your fellow riders for the fastest times on popular stretches of roads. We love its detailed analysis of the segments of a bike ride, and the monthly riding challenges it offers! Some of our staff used Strava in May to log miles for the Bike More Challenge. 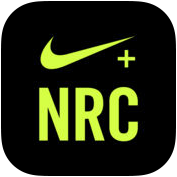 Nike+ Run Club (iOS | Android) – Strava is to cycling what Nike+ Run Club is to jogging – a polished gem amid a crowded field of similar apps. NRC includes audio encouragements from comedian Kevin Hart that play during your run, as well as a coaching feature that can guide you from zero to 10k and beyond. The app is one of the first to take advantage of the GPS in Apple Watch Series 2, so that you can track your run while leaving your phone at home. 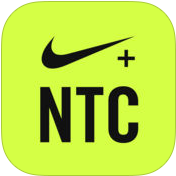 Nike+ Training Club (iOS | Android) – For a virtual coach that will walk you through all manner of workout classes, look no further than Nike+ Training Club. The app’s design mirrors that of Nike+ Run Club, allowing you to plan, track, and progress in your workouts. 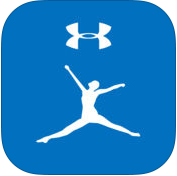 We love the variety that’s available in this app – everything from yoga to lifting to interval training, equipment optional. 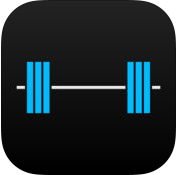 Strong Workout Tracker (iOS | Android) – We needed an intuitive replacement for the paper charts of old-school weightlifting, which track sets, reps, and weight lifted over time for different exercises. 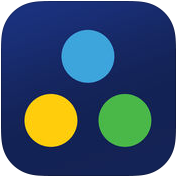 Strong does this beautifully, avoiding any needless complexity that could detract from this core functionality. We enjoyed the ease with which we could customize our workout routines and adapt them with adequate warm ups and rest periods as we progressed. Trace Snow (iOS | Android) – Skiiers and snowboarders looking to improve their skills on the mountain should give Trace Snow a whirl. Trace automatically detects the ski resort you’re at, and uses the sensors on your phone to track details about each run that you take down the slopes. Average and maximum speeds, number of jumps, distance, and vertical feet travelled are among the stats that Trace collects. At the end of a day on the mountain, we enjoyed the ability to look back on each individual run to see how we performed. Best of all, it works even in areas with no cell service! 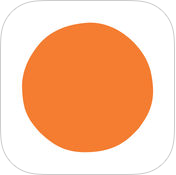 Headspace (iOS | Android) – A big hit among LifeBalance staff! Headspace offers accessible guided meditation for all ages and experience levels. We were amazed by the impact of a 10-minute meditation session, which left us feeling calm, happy, and aware of the present. As a bonus, a recent update introduced meditations for kids! Have any other favorites? Let us know at info@LifeBalanceProgram.com!